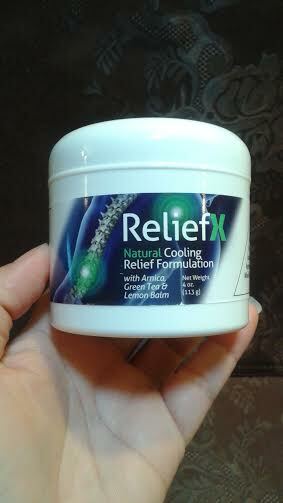 Having Back,Joint, Or Arthritis Pains and Need A Cooling Relief? Ok so as a person that have to be taking pills for my pain and sometimes I don’t want to take them for my joint pains or even a muscle spams so I am very glad to be using this all natural pain relief creme. First I like that it is in a 4 oz jar I can use how much I want. Also I like that when I open it even though it has a nice mint smell it does not overwelms my eyes or my nose. The other product that I usually use makes my eyes water and on the cooling aspect it feels like its burning but not this cream. You actually feel the cooling sensation and I love that it is natural. The consistency is creamy so when you put it on you message it till you don’t see the cream. Also I like that you don’t have that oily feeling when its on your skin. This product contains Arnica which is a plant that is use for medicine it is applied in the skin for pain, and swelling associated with bruises, aches and pains plus other different uses. It also has green tea and lemon balm. I received this product complimentary in exchange for my honest and unbiased review, regardless I only recommend product or services I use personally and believe will be good for my readers.